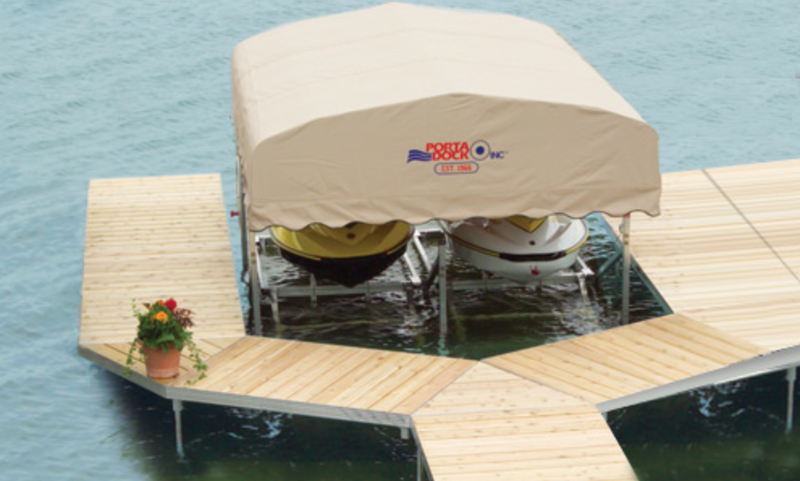 Porta-Dock’s compact, light and universal lifts are perfect for all models of watercraft. We offer a complete line of maintenance free, Personal Watercraft Lifts with adjustable bunk systems and self-braking sinches for safe and easy lifting. Constructed of high quality marine alloy aluminum for maximum strength and durability, our lifts are rustproof, corrosion resistant and unaffected by weather conditions or uv rays.